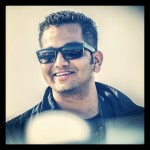 Maruti Suzuki has announced that they will be organising a countrywide Monsoon Service Camp for all customer cars. This will be a complimentary and detailed vehicle health check-up to ensure that the cars are fit to be running during the rains. This service camp is valid across all Maruti Suzuki service centers between July 9th – July 30th 2018. Service technicians will check customer cars for safety, and also ensure a hassle free driving experience. Parts such as brakes, windscreen, wiper blades, battery, electrical system, tyres, etc. will be checked under this service camp. Maruti Suzuki will also be offering discounts on parts and accessories should your car need them. 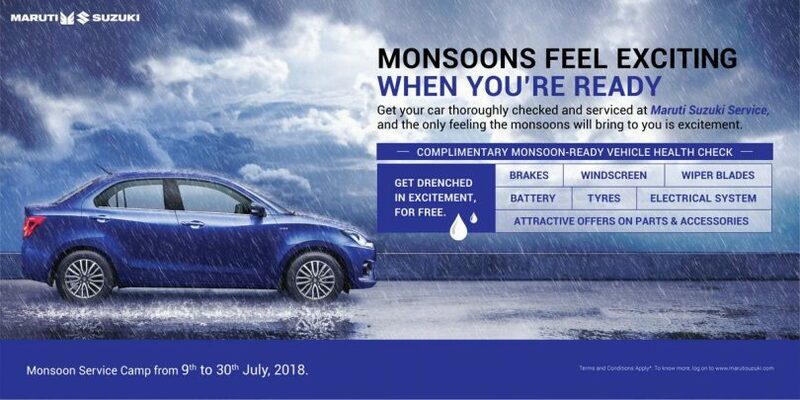 Maruti Suzuki wants to avoid break-down of any of their customer cars during the monsoon season, and hence, this proactive free service camp has been organised.